If you’re a lover of chocolate cookies, but are trying to be a bit healthier this summer, I’ve got just the recipe for you. These Chocolate Tahini Cookies are packed with nutrient-dense ingredients and are free from gluten, eggs, refined sugar and oil! We’re also using coconut sugar instead of brown sugar in this recipe, which is lower on the glycemic index. But best of all, these cookies have a rich chocolate flavor with a swirl of nuttiness from the tahini. 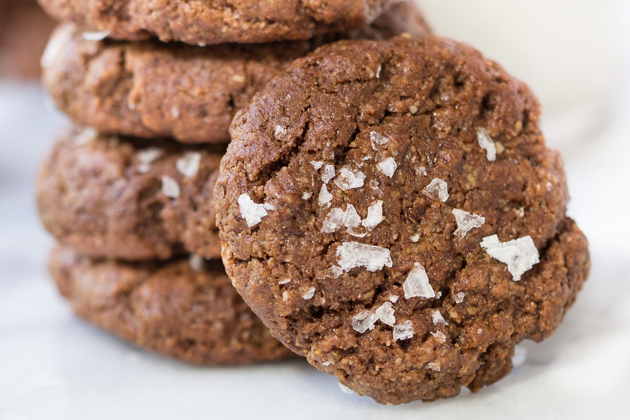 I’m a huge fan of the dark chocolate-sea salt combo, so I sprinkled my cookies with some flaked sea salt which only helped to intensify the flavors. What I think you’re going to really appreciate about this recipe, aside from the bold flavor and healthy ingredients, is that it makes just 10 cookies. If you’re anything like me, having cookies around means potentially eating 5 in one sitting…oops! 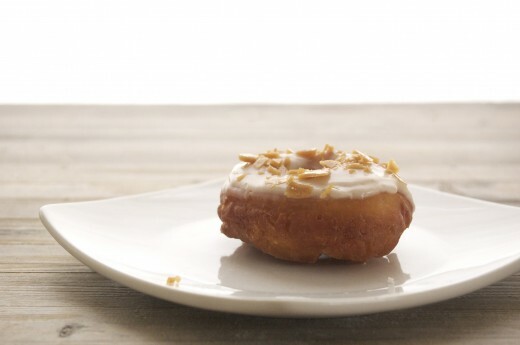 Having a scaled-down recipe is perfect – no need to worry about over-indulging! But if you want more cookies, no problem. 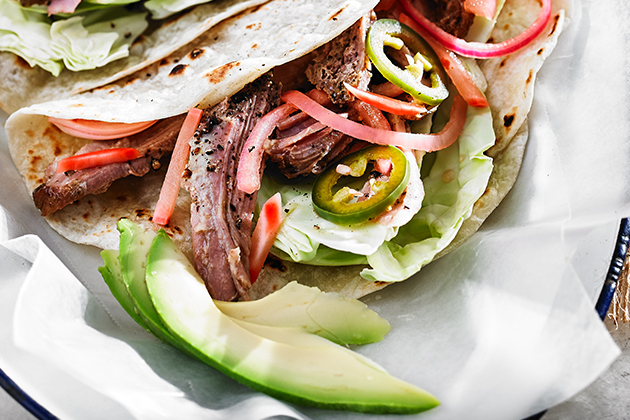 This recipe is easily doubled or even tripled. I whipped up these cookies in the brand new KitchenAid® Artisan® Mini Stand Mixer! If you haven’t seen this new Stand Mixer, prepare to be wowed. With the same sleek design and powerful motor, this Stand Mixer is a mini version of the Classic™ Stand Mixer! It’s 20% smaller, 25% lighter and is perfect for people with small kitchens (like my NYC apartment). 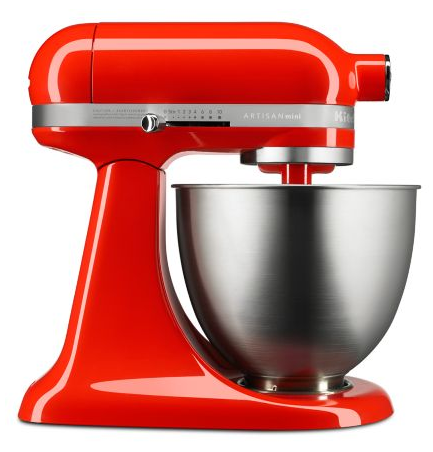 It also comes in a bunch of fun colors, has the capacity to make 5 dozen cookies (yes, you read that right! ), and best of all, it fits most of the attachments from my Classic™ Stand Mixer. I’m completely enamored! Cookies are one of my favorite things to make in my Stand Mixer; it means I don’t need to dirty a bunch of bowls, and my cookies mix up beautifully every single time. For this recipe, we’re going to start by making a flaxseed egg, which is just flaxseed meal and water mixed together until it forms a gel-like consistency. 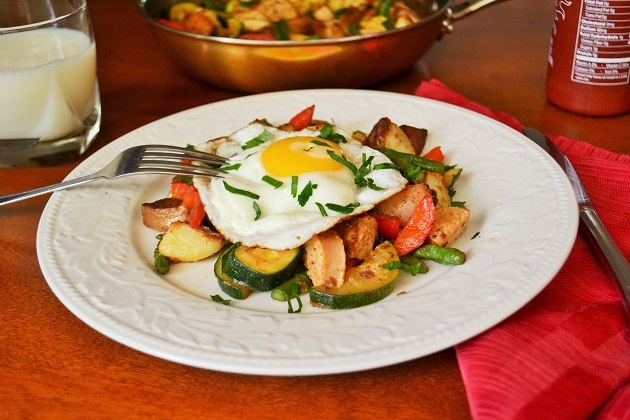 This is a common vegan egg replacer and it works wonders. While our flax egg is setting up (it takes about 3 minutes), add the tahini, coconut sugar and maple syrup to your Stand Mixer and beat together until smooth with the flat beater. Next, add your flax egg and beat again until combined. Whisk together your dry ingredients in a separate bowl: quinoa flour, unsweetened cocoa powder, almond flour, baking soda and sea salt. Add your dry ingredients to the Stand Mixer and beat on low speed (2 or 3) until a dough forms. Scrape down the sides of the bowl to ensure everything gets mixed in completely. Then, cover the bowl and transfer it to the refrigerator to chill for at least 60 minutes. Once you’re ready to bake the cookies, preheat the oven to 350ºF and line a baking sheet with parchment paper. Scoop about 1 tablespoon of dough into your hands, then roll it into a ball. Place the ball on the baking sheet and flatten with backside of your hand. Repeat with the remaining dough, then if you’d like, sprinkle the tops with flaked sea salt. Bake the cookies for 10 – 11 minutes until slightly golden brown around the edges. Cool on the pan for at least 10 minutes, then transfer to a wire rack and cool completely. All that’s left to do is enjoy these delicious and nutrient-rich beauties! Be sure to share your take on this Chocolate Tahini Cookies recipe with us on Instagram using #MadeWithKitchenAid for a chance to be featured. Whisk together flaxseed meal and water in a small bowl to create a flax egg substitute and set aside. Add tahini, maple syrup and coconut sugar to the bowl of the KitchenAid® Artisan® Mini Stand Mixer fitted with the flat beater. Beat this mixture until combined. Add in the flax egg substitute and beat again until smooth. Whisk together the dry ingredients (quinoa flour, unsweetened cocoa powder, almond flour, baking soda and sea salt), then add them into the Stand Mixer, mixing on low speed (2 or 3) until a dough forms. Scrape down the sides as needed. Cover the bowl and refrigerate for at least 60 minutes. When ready to bake, preheat the oven to 350ºF and line a baking sheet with parchment paper. Scoop 1 tablespoon of dough into your hands and roll it into a ball. Place it on the baking sheet and flatten with the backside of a fork. Repeat with remaining dough. If using, sprinkle with flaked sea salt before baking. Bake on the center rack for 10 – 11 minutes. Let cool on the pan for at least 10 minutes then transfer to a wire rack and cool completely.